Welcome to Day #9 of Chocolate and Africa Theme Weeks. 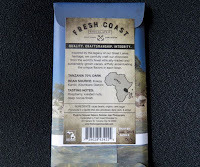 This week the focus is on Tanzania; and this is the third of four bars made from cacao supplied by Kokoa Kamili* in the Kilombero District of Tanzania. 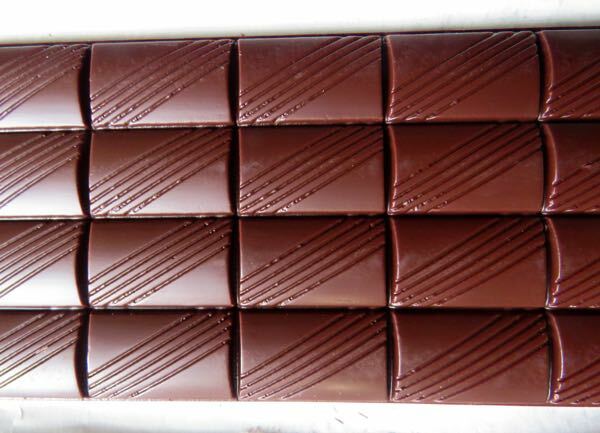 This location promises to be a great source of cacao if recent batches of finished, bean-to-bar chocolates from top makers are any indication. 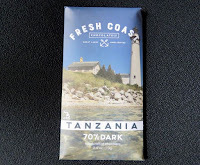 Today's Tanzania 70% Dark bar** was handcrafted by Fresh Coast Chocolate Co. (Traverse City, MI). 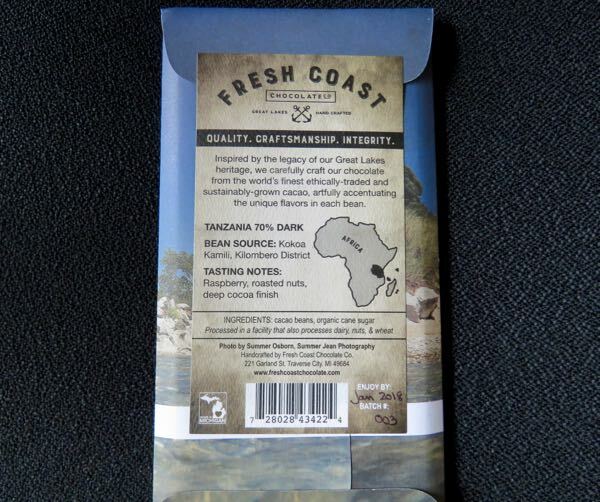 The chocolate had a tart, sour cherry aroma and red berry and traditional chocolate flavor notes, with faint balsamic/acidic berry notes in aroma and late-finish. The maker's tasting notes read: "Raspberry, roasted nuts, deep cocoa finish." *Kokoa Kamili is a social enterprise similar to a traditional cooperative that is located in the Kilombero Valley in the Morogoro Region of southern Tanzania. This organization works with more than 2,500 farmers in the region and pays them over market price for their cacao. Kokoa Kamili ferments and dries cacao beans and provides guidance/training and assistance to farmers to help ensure a uniform level of quality. 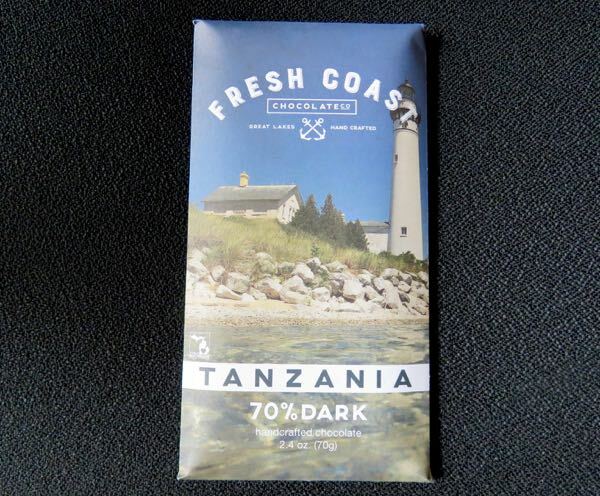 **Unfortunately, as of today's date, it looks like this bar is sold out on Fresh Coast Chocolate's website.